Traction alopecia is a biphasic form of hair loss, in which it initially presents as a reversible non-scarring type of alopecia, and if the excessive traction of the hair is maintained for years, it becomes a scarring type of alopecia in which the hair loss eventually becomes permanent. 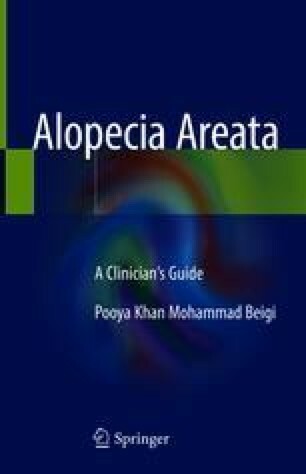 Traction alopecia has a patchy, marginal pattern of hair loss with hair breakage. The formation of hair casts is a well-known sign of persistent hair traction . These hair casts are found around a single hair shaft and are made up of the inner and/or outer root sheath, but are not associated with prominent parakeratosis.